Line a 20cm (8 inch) round cake tin with baking paper. Sift together the flour and baking powder, then fold into the mixture with the ground almonds. Spoon into the prepared tin, level the surface and bake for 40-45 minutes. Cool for 20 minutes, then remove from the tin and place on a wire rack to cool completely. When cool, prepare the icing. Beat the butter and icing sugar together until combined, then whisk vigorously until pale and fluffy. Add the cream and half the lavender. 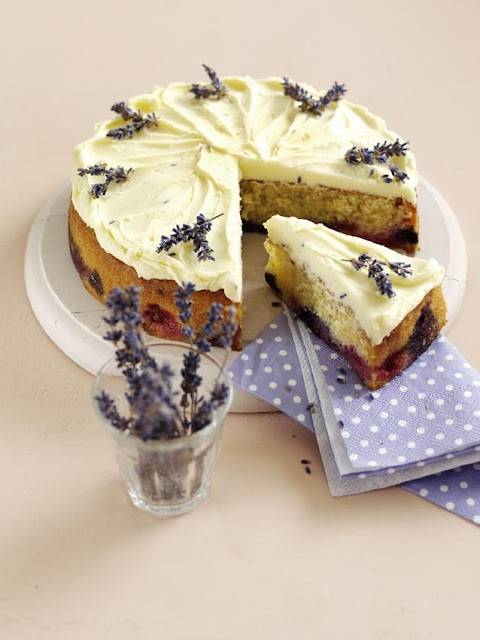 Spread over the surface of the cake and decorate with the remaining lavender. Check online for suppliers of culinary lavender. If you can’t find any, try using a little finely grated lemon or orange zest in the icing instead. Recipe and photo credit by Alan Palmer’s recipe has been taken from the Kerrygold Community Recip-e-book, available for free download now! Visit Kerrygold UK for more delicious recipes and to download your free copy. 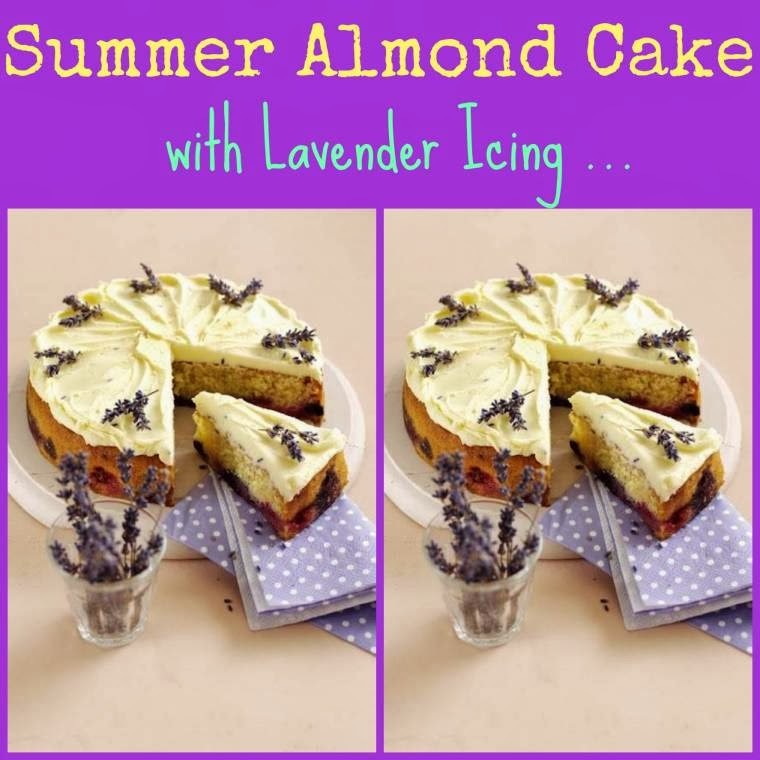 "20/07 Link Up Your Favourite Posts Of The Week : Welcome To The Weekend Blog Hop…"
That looks really pretty, I'm interested to see how it tastes as I've never had culinary Lavender… I didn't even know it was edible! Beautiful!!!! Bookmarking this! Thanks for linking up!!!!!! This look delicious! I got plenty of homegrown lavender just for this recipe.